Also check out the Zen coloring tables on the first floor, or if you need a quiet space to work on your final papers and projects, Room 213 (Electronic Classroom 2) is open 24/7 during finals as a quiet study space with computers. All of the dogs are certified therapy dogs, and many participate in service activities in hospitals, nursing homes, schools, and libraries. 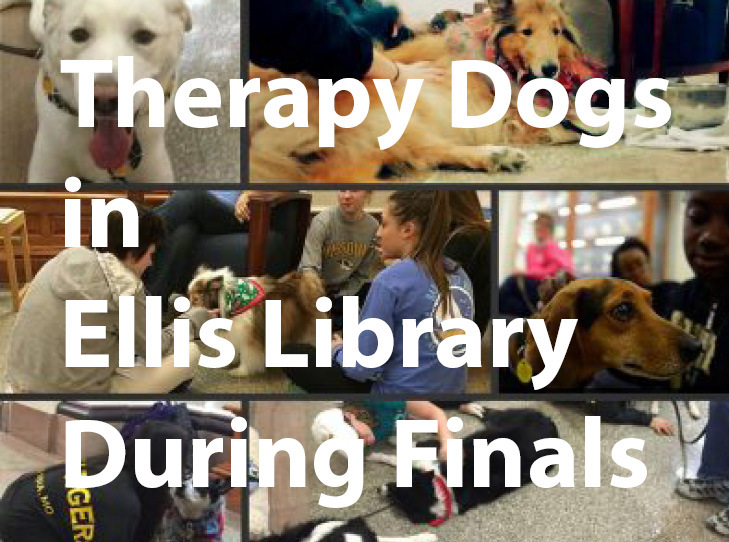 These therapy dogs are trained to interact with children, the elderly, and others facing difficult situations such as college students experiencing finals week stress.